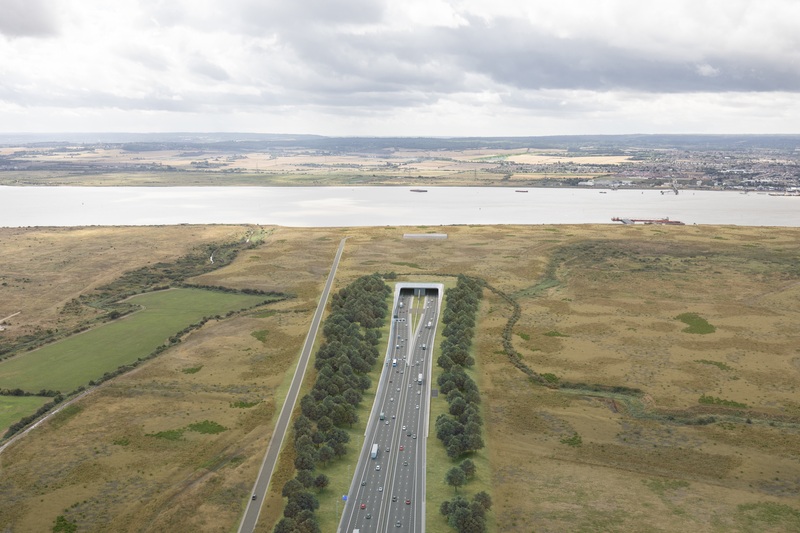 Highways England says the whole of the route will now have three lanes in each direction, giving a 90% increase in capacity for traffic going between Kent and Essex. The route will be 14.5 miles in length and include a 2.4 mile-long tunnel under the river. It will run from the M2 near Rochester to the M25 near South Ockendon. The new crossing is expected to cut congestion at the existing crossing – which sees 50 million journeys annually – by 22% when it opens in 2025. “That tens of thousands of people responded to the previous consultation demonstrates that this scheme raises as much passion amongst residents as it does with the millions of drivers who, despite the improvement brought about by free-flow tolling, still routinely get stuck at the existing crossing, especially northbound.